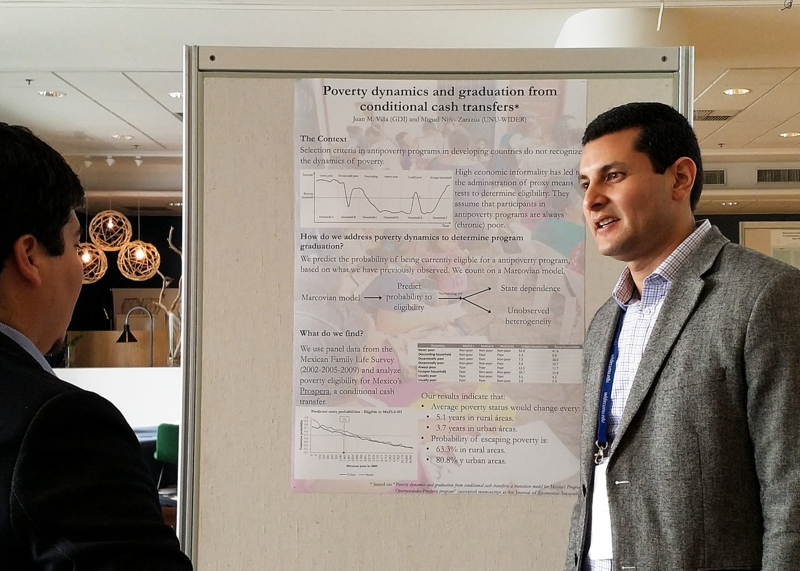 Four years ago, in 2014, Juan Villa spent three months at UNU-WIDER in our PhD Fellowship Programme. I spoke to him on a sunny September afternoon while he was back in Helsinki for the Think development - Think WIDER conference about his journey since his studies, and about what’s next. Juan grew up in Colombia, then attended the University of Manchester as an international student, where he completed his PhD. After his PhD he moved to Washington DC where he worked as a social protection economist at the Inter-American Development Bank (IDB). Now, he has accepted the position of President at Colpensiones, Colombia’s public pension and social security administrator. During his PhD at the University of Manchester, Juan saw many of his European classmates take internships at various economic institutes throughout the EU. For Juan, being born in Colombia and not having EU citizenship begun to feel like a disadvantage, as he wasn’t able to move as freely as others through Europe and build his experience. Then he saw a Facebook post calling for applications for the UNU-WIDER PhD programme, a fully funded programme open to international applications. ‘It opened the door for me, as a non-EU citizen, an international student, to have the same opportunities that my European classmates had’ he says. A few months later he was flying to Helsinki to spend three months writing his thesis at UNU-WIDER. 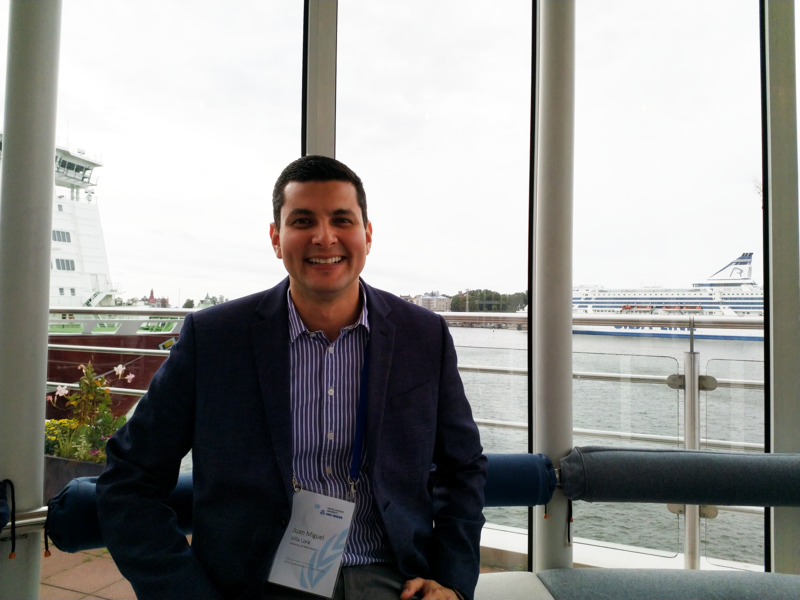 Juan reflects on his time at UNU-WIDER with a warm smile on his face. He continues to be involved with UNU-WIDER, he attends conferences and events whenever he can and is still in touch regularly with many on the team, including Miguel Niño-Zarazúa, Juan’s mentor during his fellowship. He recently published a paper with Miguel on poverty dynamics and conditional cash transfers. He has remained close friends with the other PhD fellows too, one of whom, a student from Tanzania, is now his best friend. His time at UNU-WIDER has clearly left an imprint, ‘I'm 100% certain that I will keep contact with UNU-WIDER for the rest of my career’, he tells me. After completing his PhD, Juan stepped away from the academic career path to enter the field of policy at the IDB. He continues on that path as he took over the office President of Colpensiones, Colombia’s public pension and social security administrator. Returning to his home country, in a role where he could influence public policy, was something of a dream for Juan, until Alicia Arango, Colombia’s Minister of Labour, contacted him and asked him to apply for the job at Colpensiones, ‘I didn't know her before the appointment. She just asked for recommendations and my name got to her’. Juan feels that his time studying and working overseas will help him in his new role, he says he’s retuning to Colombia with a different perspective and a deeper understanding of the role of public policy, ‘You learn from the mistakes that other countries have made when you spend time abroad, and from the success of other countries. As an example, the gender agenda, it is easier to grasp or to understand the issue when you're abroad and you see different perspectives. I’m coming back to my country with a very specific gender agenda in the area I will work in, in this case social security, particularly pensions, which is a really gendered issue’.